I love being able to make my own crafts and décor for the holidays. Having a few speciality tools to make that an easier task is always helpful. 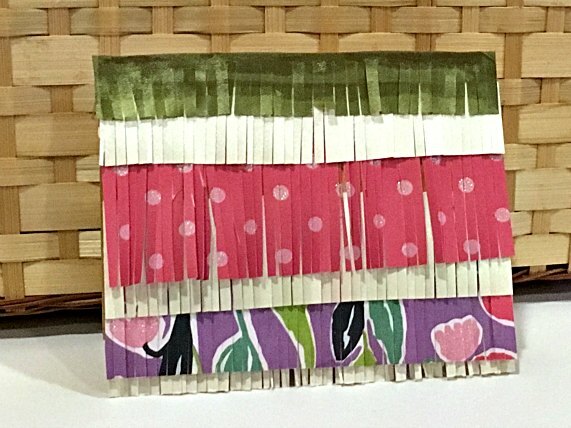 Recently EK Success sent me some Martha Stewart Crafts tools to try out and I want to share a couple of projects that I made with them. Out of them all I have to say I was most delighted with the Doily Punch Starter Kit. 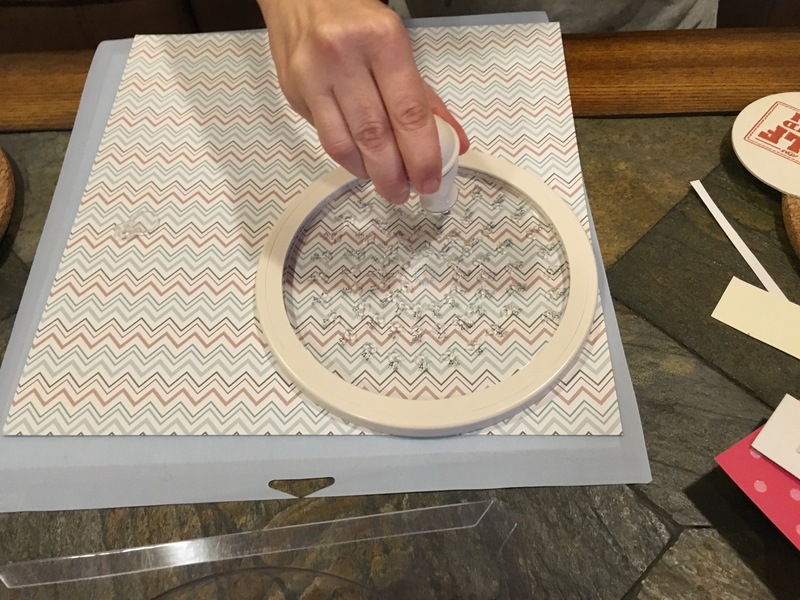 It lets you punch perfect circles with pretty, die-cut borders without needing to trim your paper first. 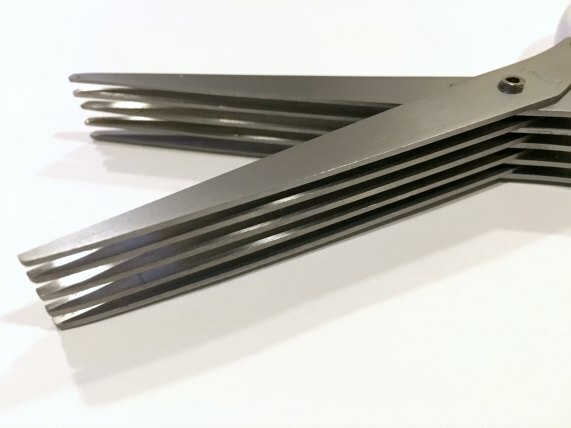 You can buy additional punch designs to go with the starter kit too. 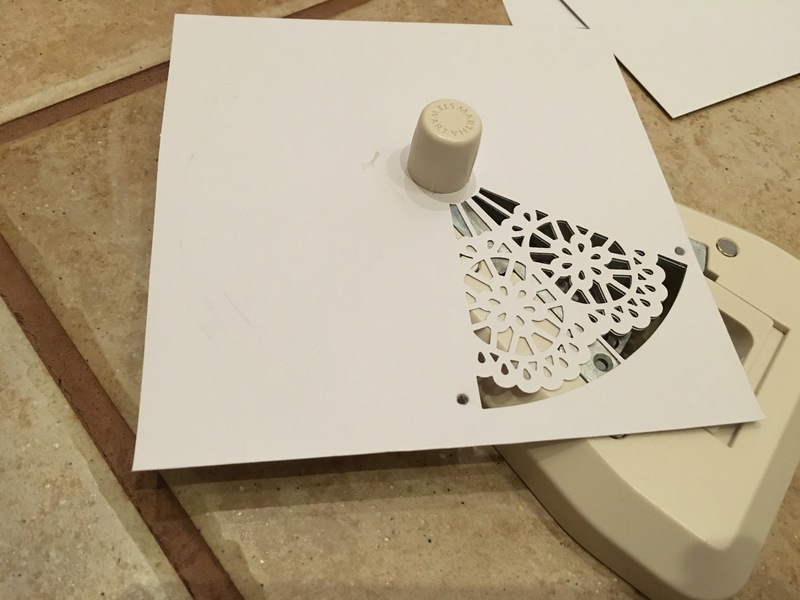 To punch your doily out, you line the center of your paper up with the grooves on the magnetic button and then place it on the base. Place the top piece on top so the magnets all connect and make your punch. 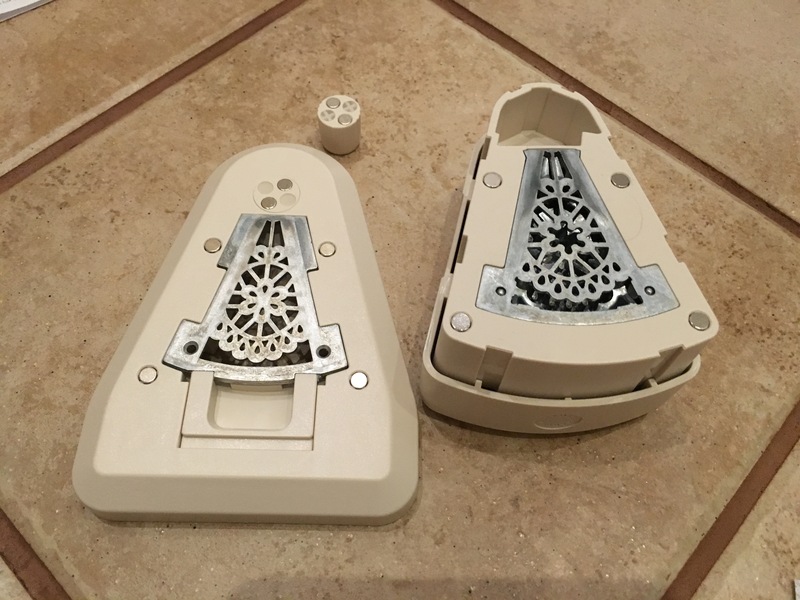 Lift the punch, turn the button, place the top piece on and punch again. And repeat. 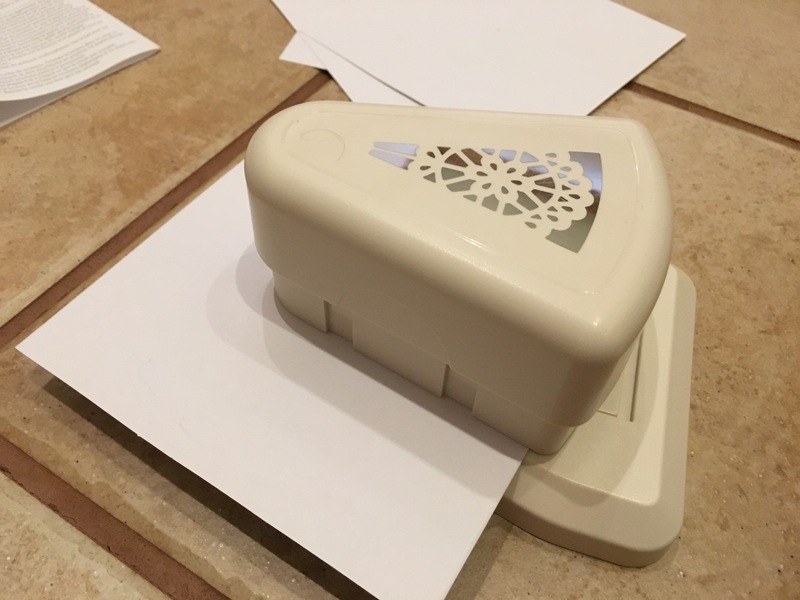 There’s a small learning curve to using the punch, but once you figure it out, you get a good rhythm going and can have these beautiful paper pieces punched out in minutes. 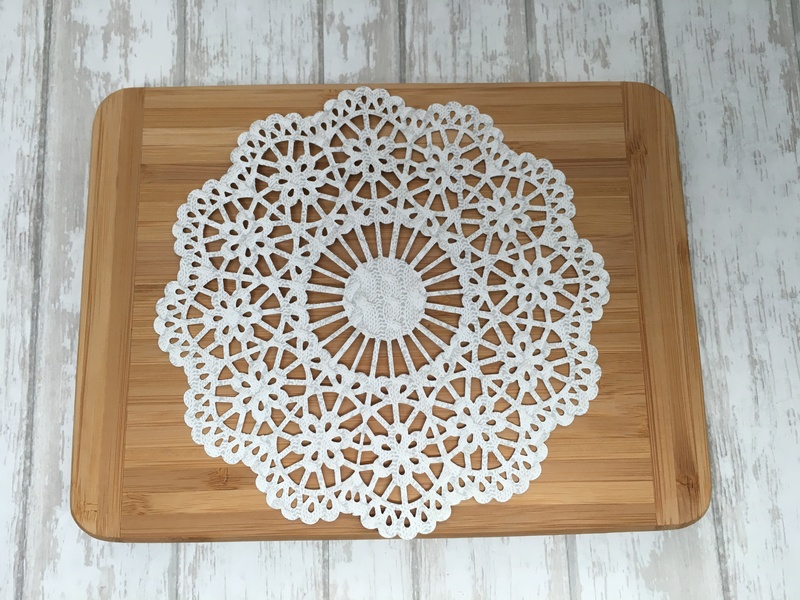 There are SO many things you can do with paper doilies. Banners, table runners, paper cones, scrapbook pages and gift wrapping are just some ideas. 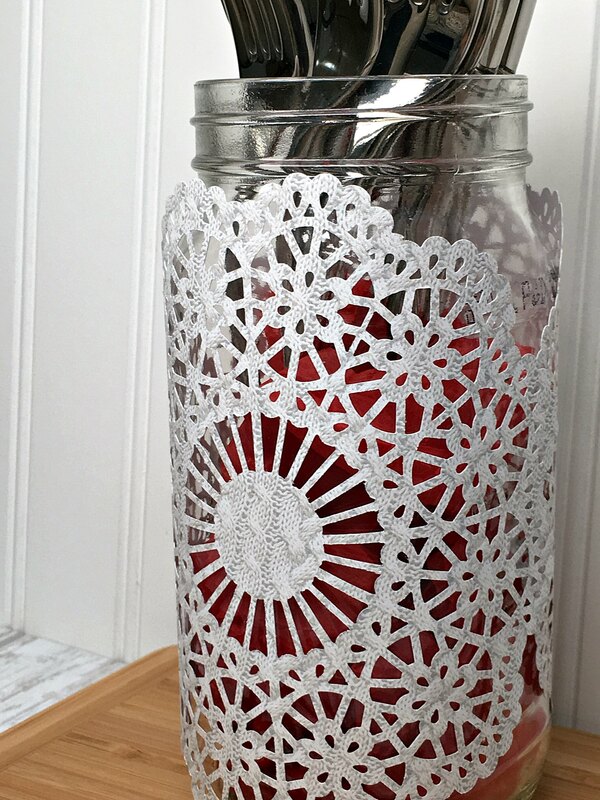 I used some patterned scrapbook paper that had a cableknit image background to cut out these doilies. 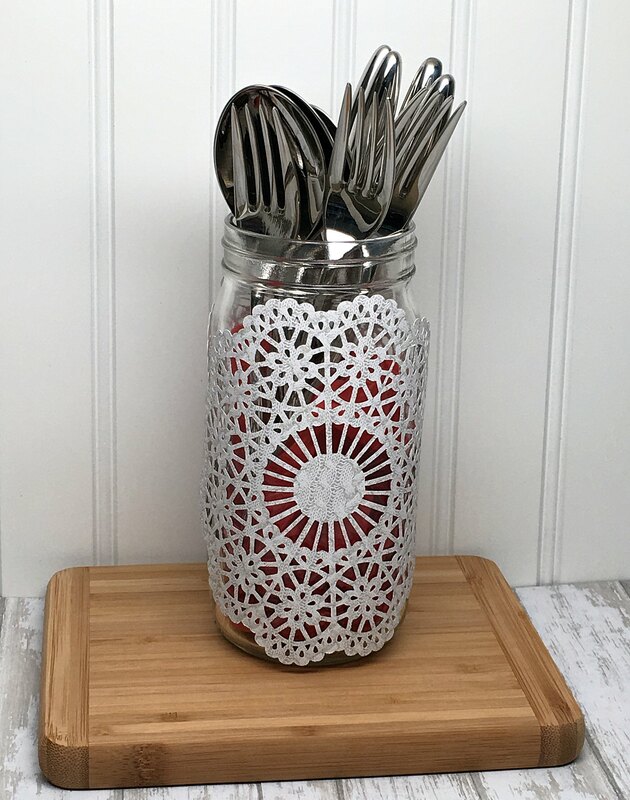 For one idea I taped one to a mason jar, added some tissue paper inside and used it as a serving piece for cutlery. This would be so cute for an informal holiday dinner gathering. 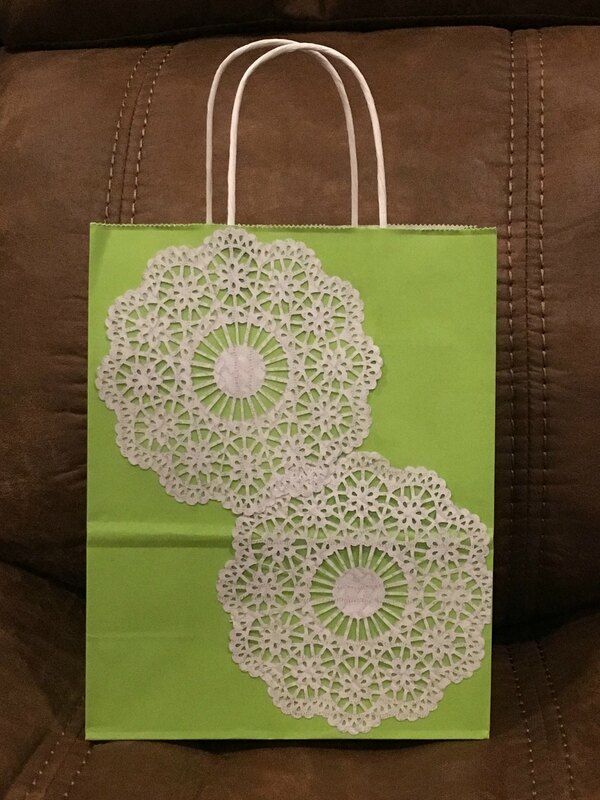 I also used some to decorate a plain colored gift bag. It really gives it a nice vintage chic look! Next, I used the Fringe Scissors. 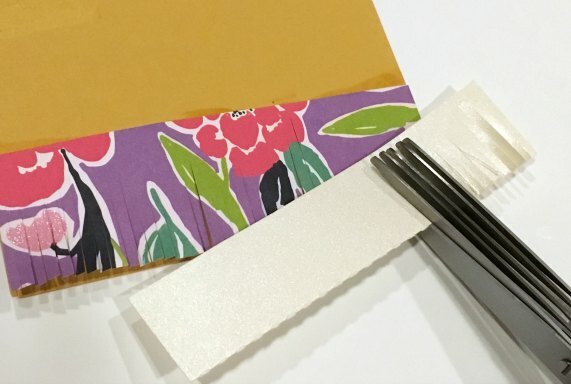 If you’ve ever tried cutting little slits into paper or ribbon, you know that this is super-handy craft tool! The Fringe Scissors may just be what I needed to make handmade cards again 🙂 It makes it so easy to get a fun look to your paper edges. 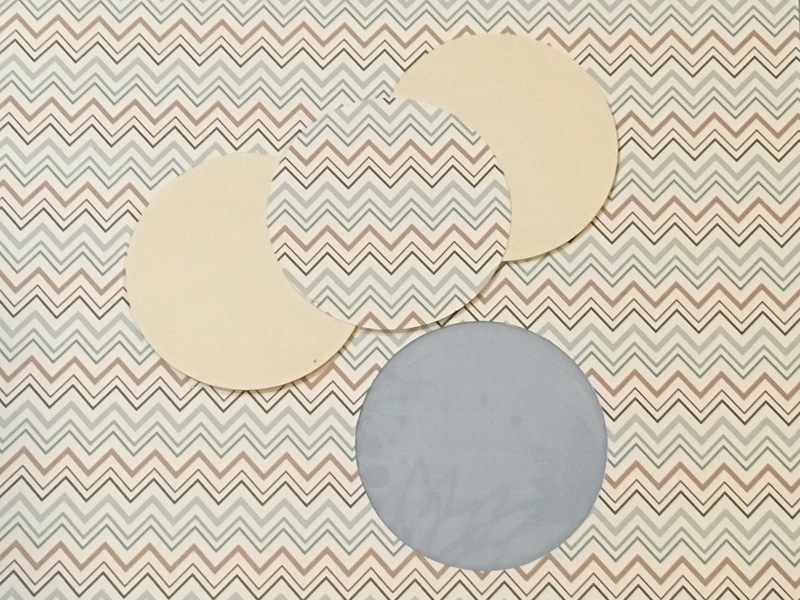 Then I used the Circle Cutter. This would be really handy for someone who does a lot of die-cut work that doesn’t have a machine for it. But…be forewarned, the packaging tells you the blade is sharp and to be careful… and that warning should be heeded. As I was taking the cover off the blade, I ended up slicing one of my fingers which resulted in a trip to the Urgent Care where they had to glue me together 😉 So it’s especially a craft tool to keep away from children. That being said, it does the job of cutting perfect circles in the size you need. I didn’t have a problem with it shifting as I was cutting my circles out. 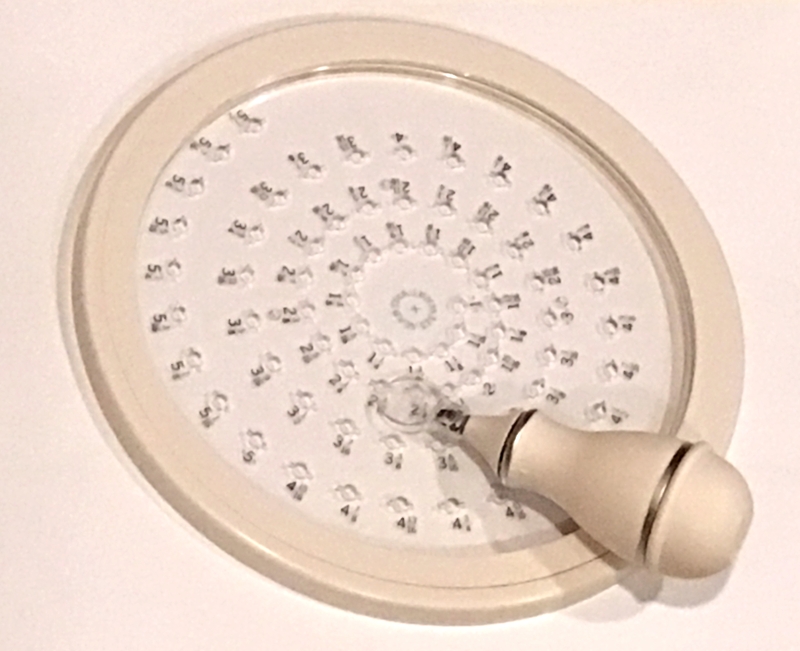 I didn’t have much time to play with it after the accident with my finger, but I think you get the idea 🙂 And with the tool allowing you to make circles from 1″ to 5 7/8″ in diameter, if you’re crafting with circles and don’t want the expense of a die-cut machine this is your tool! The EK Success/ Martha Stewart Crafts Tools has so many products for the novice and everyday crafter. Tools that will help you be creative and craft DIY projects for the holiday season. It’s awful that you hurt your finger, but the circle cutter looks pretty awesome. I never like doing crafts because my cuts are jagged, and this would solve that problem brilliantly! I love that doilie cutter! You are so crafty it makes me jealous LOL — I need to learn some of those skills. Wow! I need a Doiley cutter! Oooooh I love that Doiley cutter! The jar turned out really nice! Would make nice décor on our table when we have guests over. Love these ideas, I love making my own stuff! Great idea . They look great. I have just started doing crafts. I never thought that I was a crafty person but I was wrong plus people like you explain how to do it.